Great trial lawyers are paid to tell stories for a living. Typically, one side’s recitation of a story is more persuasive than the other – even when both sides are drawing on the same set of facts. But why? Is it the charisma of the trial lawyer? Is it the way the story is told by both sides? Is it the deployment of superior litigation graphics by one side? Well, it’s all these things – and more. Our litigation consulting firm is often engaged to help top trial lawyers tell their stories in the most persuasive way possible. We do this by applying the latest findings of persuasion science and sharing the wisdom that we inherit by routinely observing the world’s very best trial lawyers. This article is the first in a series of four articles. My goal in this series is to reveal some of the tricks of the persuasive storytelling trade in one place for the busy trial lawyer. I hope that these recommendations can serve as a pretrial checklist for anyone who wants to draft an opening statement. Tip #1. There must be a story. You should present a story, and it should follow the basic guidelines of storytelling. That is, there should be a beginning, middle, and end, and there should be storylines and human characters that your factfinders care about. Research tells us that human beings automatically make stories out of virtually all life events to gain a sense of control, even if it’s a false sense. It’s the difference between collecting bare facts and interpreting them in a coherent manner. Most people can’t resist making assumptions, drawing inferences, and imposing upon the facts what they “mean” rather than merely accepting information as is. Most of what people discuss in their social lives are stories and gossip – not random facts. 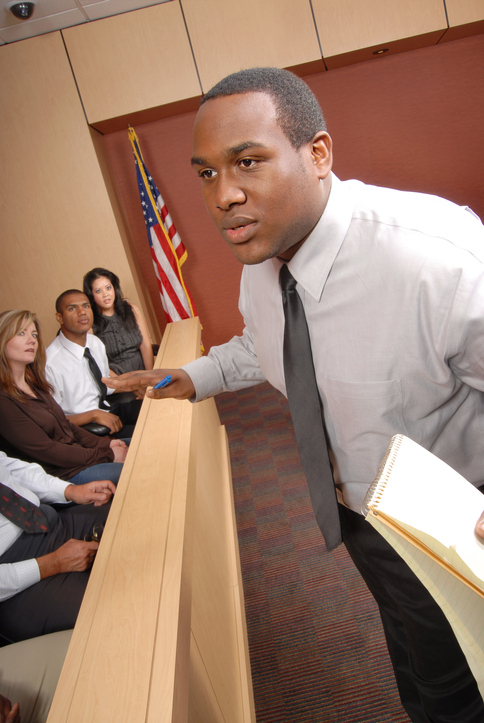 Since we know that your jury will be using a story to sort out your litigation facts in order to reach its results, whose story do you want the jurors using -- one they’ve made up, one provided by opposing counsel, or yours? If we now think about how one might tell a story in an opening statement, below is a model for telling such a persuasive story. This example comes from a trial that ultimately derived from the financial crisis of the last half of the decade of the 2000s, where the issue was whether a bank could be held liable to its shareholders for bad real estate investments that the bank made. That is a story that most jurors will not quickly forget. Be sure to sign up to be notified as the next several parts of this article are published. There are nine more tips coming in the next several articles.